I was on a quick visit in Pampanga since my flight from Caticlan/Boracay is landing at Clark Airport. I messaged my friend Joshua who's living in Lubao, an hour from San Fernando to meet me up in Sm City to have lunch before I headed to Manila. A day before my flight I called the restaurant to make a reservation since Cabalen is one of the pocket friendly buffet at 298+ in the area sometime they get full and other customer need to wait to be seated. While waiting for my friend to arrive, I decided to roam around to check the location of Cabalen inside the mall. I got lost because the Mall is quite big. The location of the restaurant is located in the back part. When Josh arrived, we headed right away to Cabalen because when 12nn or before the restaurant will get full as I experienced in the other branch. Upon arrival I asked the receptionist on my reservation, after confirming my name, she assisted us in our reserved table. 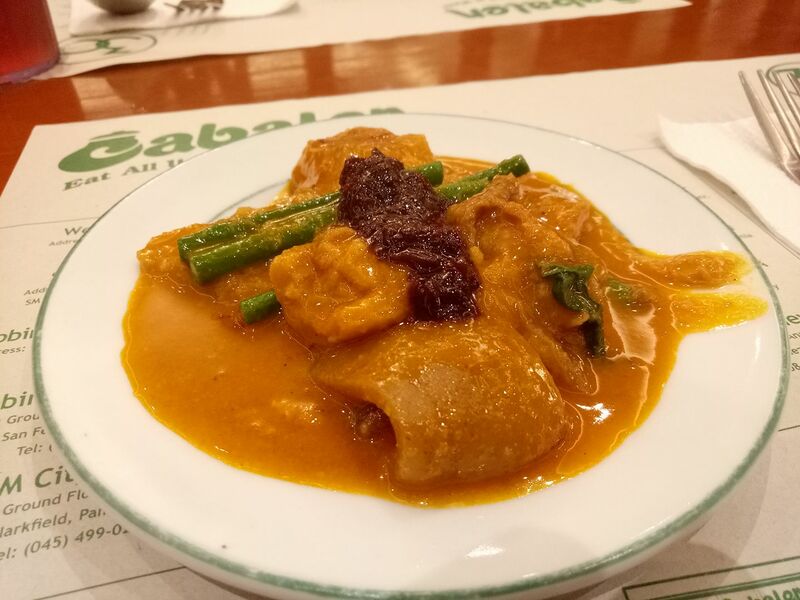 Josh and I got our plate and be able to choose from the different menu for the day, Of course the reason I am coming back in Cabalen all over again that because of their Kare-Kare is one of the favorite dishes and fried Kang-Kong. The staffs are well-trained it comes to guest relation and very attentive to their customer needs, they making sure that everything is okay. One thing I noticed the cleanliness of the buffet table are well-maintained. After the 2-round I already felt that I'm full. I went to the dessert station to get a glass of Halo-Halo (I hope they will change to a bigger glass for Halo-Halo) and seasonal fruits. I left the place with smile because first I'm full and satisfied to their service, and the quality of the food being served to us. 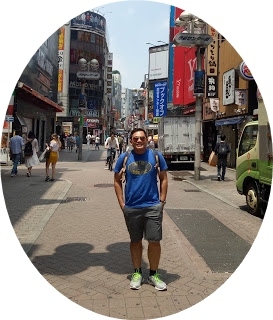 When my friend Paula and I talked about where to travel next, we came to the point about traveling to Japan since the embassy is not too strict it comes to get a tourist visa. Three weeks before my planned travel to Catanduanes I decided to try applying a Japan Visa since Airplane ticket is not required. Alobijod Beach is located in Sitio Alobijod, Poblacion Nueva Valencia Guimaras. It is approximately 24 Kilometer from Jordan wharf. Alobijod beach is the most developed among the other beaches in the province of Guimaras. Molocaboc Island is a barangay under the City of Sagay, Negros Occidental. Leaving in the islands with limited resources like drinking water, electricity is quite a challenge for every people, but i admire them how they leave happily in a very big islands, it is approximately measured about 420 Hectares. Hi! I'm Paolo an hotelier based in the City of Love (Iloilo City). I love off the beaten path adventures, getting lost to unfamiliar places and meeting new people. 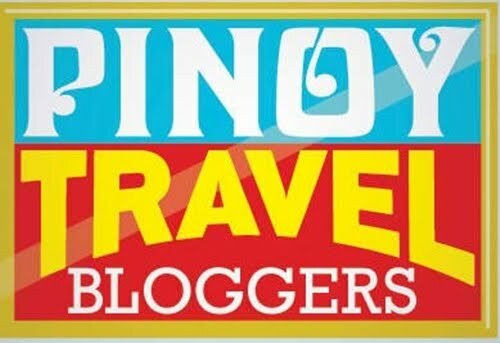 This blog is all about my adventures in the Philippines and beyond.